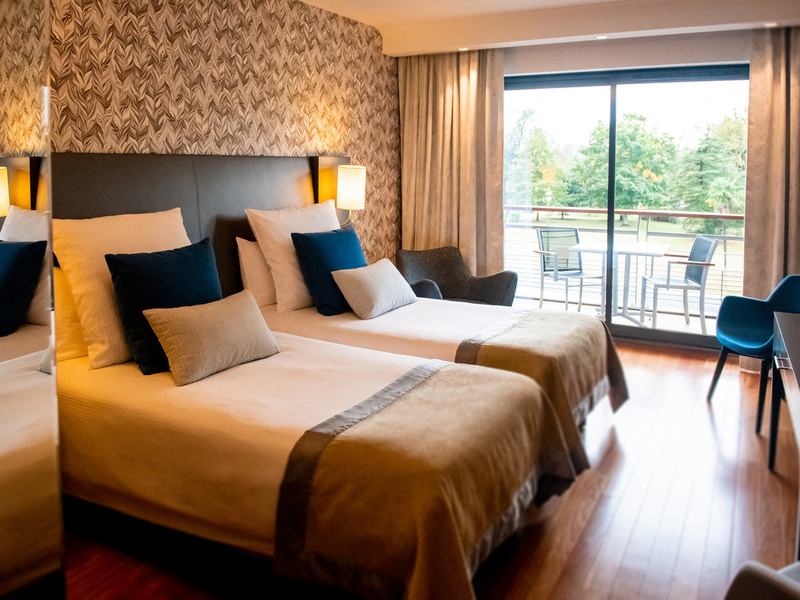 The Parc Beaumont hotel is unique, fitting perfectly with the city, the Park and the Pyrenees. This unique feature has allowed it to blend into the background of Pau, a city known for its gardens and sustainable city planning. 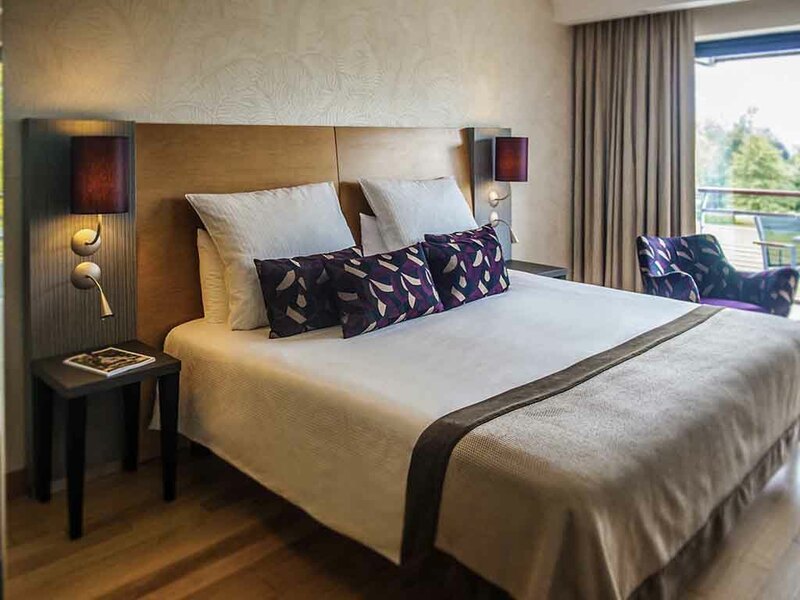 ..
For a weekend break, enjoy a special moment in the heart of the Jurançon wine-growing region by reserving our Memorable Moment package. Jurançon is a noble wine region intrinsically linked to the history of Béarn. Henry IV of France enters the scene in 1553: the newborn's lips rubbed with garlic and moistened with Jurançon wine. The future "Good King Henry" already had great taste! A few steps away, the historic center of Pau is yours to discover. Linger at the Château or the Beaux-Arts museum. After some sightseeing, it is time to unwind. Bask in the whirlpool bath, hammam or sauna, and enjoy a healing treatment at Spa Bambou. Their natural, expressive and authentic wines are produced using organic methods. After the visit and tasting, enjoy a 1-hour discovery trail in the vineyard, and you'll leave with a souvenir of this Memorable Moment! Pau is an ideally located destination. With the Pyrenees National Park as a backdrop and the Basque country close by, the capital of Béarn can be proud of its famous neighbors, Biarritz and San Sebastian. From the A64 highway, take exit 10 for Pau Centre and follow signs for Centre Ville (continue straight on along the wide avenue). At the end of Avenue Dufau, turn left on to Boulevard Alsace Lorraine and head toward Palais Beaumont. At the traffic lights at the end of Boulevard Alsace Lorraine, bear right onto Avenue Edouard VII. The hotel is 547 yards (500 m) away on the right. 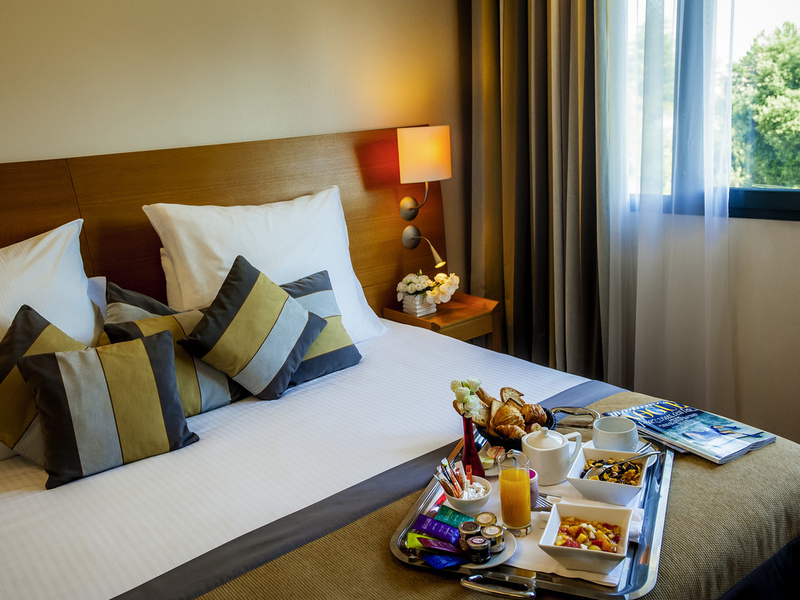 Quiet, bright rooms and suites overlook the park or Pau's residential area. Soft colors together with refined, natural materials help you feel completely relaxed in these rooms, which combine elegance and comfort in a warm, contemporary setting. 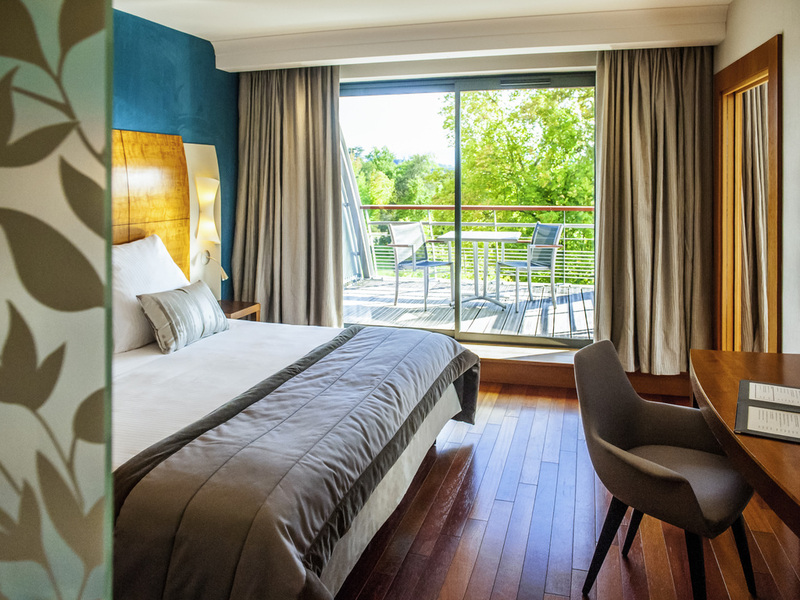 Your fourth-floor suite enjoys endless views of the Pyrenees mountain range to admire while relaxing in the separate lounge area or on the terrace. Calm and wellness come together in this immaculate space, where special attention and services await you. Room measuring 301 sq. ft. (28 m²) with 48'' TV, free Internet connection, NESPRESSO coffee machine, minibar, CARITA luxury products, bathrobes, slippers, bathtub, separate toilets, carpeting. Twin beds and crib upon request. 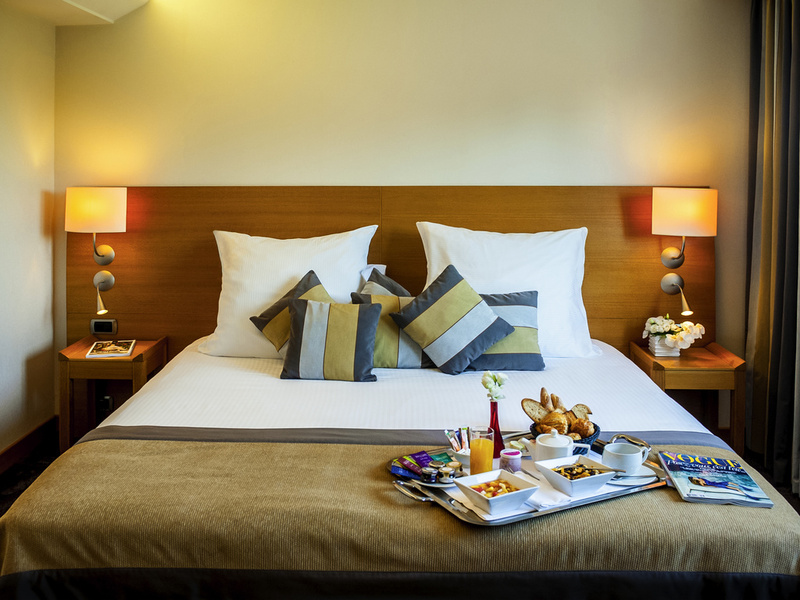 Quiet, bright and overlooking Pau's residential area, this elegant room provides all the amenities for your comfort in a warm, contemporary setting. Room measuring 366 sq. ft. (34 m²) with 48'' TV, free Internet connection, NESPRESSO coffee machine, minibar, CARITA luxury products, bathrobes, slippers, bathtub and shower, separate toilets, wood floor. 2 Single Size Beds or an extra bed upon request. Room measuring 366 sq. ft. (34 m²) with 48'' TV, free Internet connection, NESPRESSO coffee machine, minibar, CARITA luxury products, bathrobes, slippers, bathtub and shower, separate toilets, wood floor. Extra bed upon request. Suite measuring 452 sq. ft. (42 m²) with 2 48'' TVs, free Internet, NESPRESSO coffee machine, minibar, CARITA products, bathrobes, slippers, bathtub, shower, separate toilet, carpeting. 2 Single Size Beds, sofa bed for 2 children or 1 adult upon request. Suite 517 sq. ft. (48 m²), terrace 215 sq. ft. (20 m²). 2 48'' TVs, WIFI, NESPRESSO, minibar, CARITA products, bathrobes, slippers, bathtub, shower, separate toilet, closet, wood floor. 2 Single Size Beds, sofa bed (2 children or 1 adult) upon request. With a vast terrace opening on to the park, the "Le Grand Prix" cafe and "Le Jeu de Paume" restaurant allow guests to enjoy al fresco snacks and fine dining in an elegant, welcoming setting. At Le Jeu de Paume restaurant, Chef José Aniceto serves delicious contemporary cuisine, prepared with the finest local and seasonal produce. Relax and enjoy fine dining with a wonderful view of the sunlit park. Three multi-purpose rooms with large bay windows overlooking the park and two breakout rooms are available on the fourth floor for meetings, seminars and conferences for up to 100 participants. Just three minutes' walk away is the Palais Beaumont convention center, a top-quality venue for larger events. To make honeymoons truly memorable, the hotel reserves exclusive privileges for newlyweds. In your upgraded room, take the time to savor every moment of your stay, and prolong the pleasure with a late check-out. Stone and ceramics combine in subtle shades of beige and gray, contrasting with blue of the pool. Relax in the soft natural light of this setting and enjoy the benefits of Decléor and Carita treatments. Set out to discover Pau or the hills of Jurançon in the comfort of a chauffeured vehicle. For a quick trip or a long excursion, our concierge is more than happy to arrange a car for you. Bay windows overlooking the park, designer sunloungers with plush cushions, a bubbling whirlpool bath, heated indoor pool... Our wellness area is reserved for moments of unparalleled relaxation. After a few laps in the pool, relax in the sauna or hammam.